From Page to Screen: When it works and when it doesn’t! I always feel a sense of trepidation when I hear that a book or series that I like is being turned into a film or a TV series. There have been some notable successes, but equally a number of failures too. When I analyse it, I tend to prefer the adaptations where I’ve read the book after watching the TV show or movie. So here for your delectation are some of my hits and misses. I’m fairly sure that I watched the Joan Hickson Miss Marple adaptations before I started reading the books. I was 10 when I first watched them (as mentioned in my post on Lord Peter Wimsey), twenty years on I still love them wholeheartedly – and actually have a fair few of them on my TiVo box which I watch whilst ironing. My favourites are Body in the Library, A Murder Is Announced, The 4.50 from Paddington and Nemesis (despite the fact that the murdered girl is called Verity!). I’ve only seen a couple of ITV’s “Marple” adaptations – and I’ve loathed them – not only do they change the plot and sometimes even the murderer, but they are utterly unnecessary considering the perfection of the 1980s adaptations. Moving from one Agatha Christie creation to another – I think my first encounter with the little Belgian detective was David Suchet’s audiobook version of Murder on the Orient Express, although I may have read a book or two first. I think this means I was predisposed to like his TV version – and I forgive it the tweaks and alterations. I don’t rewatch these the way I do with the Miss Marples, but if one happens to come on, I won’t turn it off. I also love the film of Murder on the Orient Express with its starry cast and gorgeous music by Richard Rodney Bennett (if you’ve never heard it, spare a few minutes to watch the wonderful Proms performance below) – a rare occasion of my liking two different adaptations of the same property! I started reading the book after I’d watched the first episode of the legendary BBC adaptation with Colin Firth and Jennifer Ehle. I’d finished the book by the time the second episode aired. 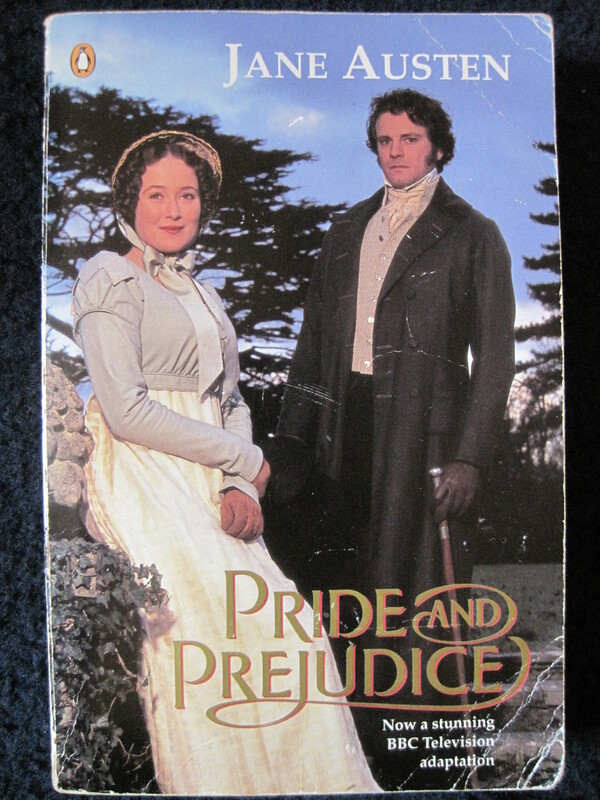 Because I read it that way around, Ehle and Firth were Lizzie and Darcy in my head from the start – and that’s where so often it goes wrong with adaptations for me – when the actors just don’t look like the image you have in your head of the characters. I’ve never managed to get past the first 15 minutes of the Keira Knightley/Matthew Macfadyen version – possibly because I’m so attached to the 1995 adaptation and it’s so fixed in my head. The “image in your head” issue is at the heart of the problem with Harry Potter. My sister was very angry when the first film came out – she wasn’t pleased with Daniel Radcliffe, but her bigger problem was Emma Watson – “Hermione’s not meant to be pretty and she’s about as convincingly plain as Rachel Leigh Cook is in She’s All That”. I agreed – and there are also parts of the books that I’m sentimentally attached to that are left out (the last lines of Prisoner of Azkaban for a start – “He was my mum and dad’s best friend. He’s a convicted murderer, but he’s broken out of wizard prison and he’s on the run. He likes to keep in touch with me, though … keep up with news … check if I’m happy.”). But of course for children reading the book now (or anytime in the last decade) that’s not a problem – you can’t avoid the film versions, so you’re unlikely to have the same strong mental image of what Harry et al look like that those of us who were fans of the books before the movies appeared. 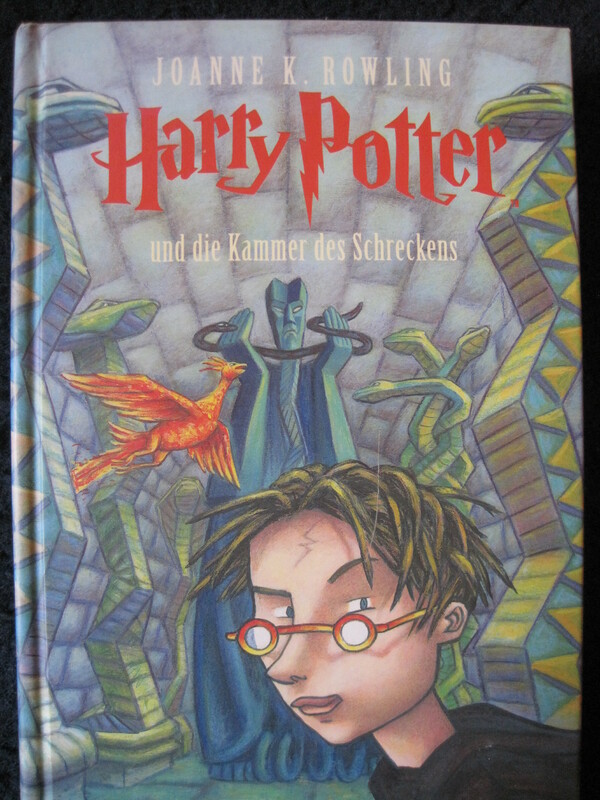 I read Harry in French and German to improve my vocabulary (for degree and A-Level respectively) and it’s noticeable that the cover illustrations of Harry grow more like Daniel Radcliffe as the books go by. 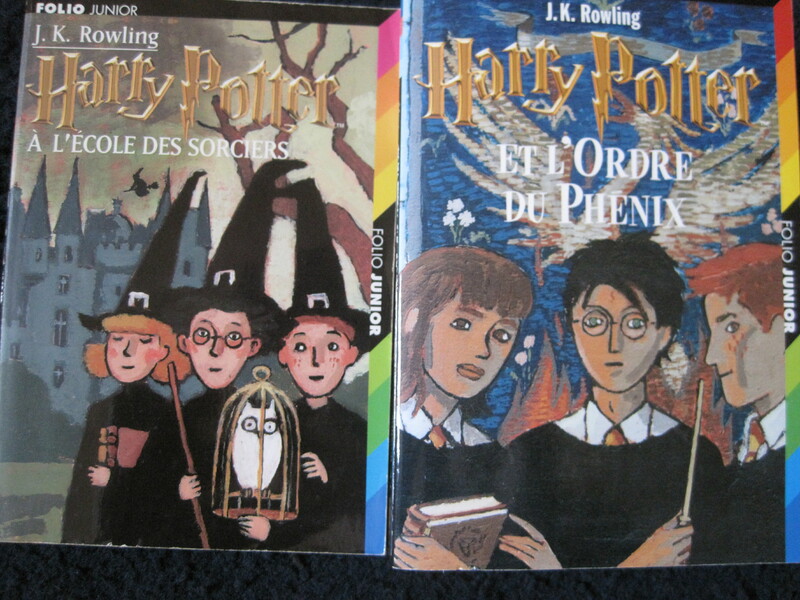 On a side issue, I’m still sad that children now won’t experience Harry we (my sister and I) did – today, if you read the first one and like it, you can read all the way through to the end of the series. Never again will you have to wait a year to find out what happens next, or worry about how it’ll end. Back on the literary adaptations, we move on to the inspiration for this post. I love the Phryne Fisher books – but I have serious issues with the TV adaptations. I have to try to view them as completely separate entities or I get ragey. Very ragey. In the books, Phryne is in her late 20s, solves murders and gets a lot of action in the bedroom department. She has two adopted daughters, Mr and Mrs Butler to run her house, her regular man (or as regular as any) is Lin Chung and she unofficially assists the happily married policeman Jack Robinson. In the TV series, she still solves murders. The actress playing Phryne is at least a decade too old (although, to be fair, she is a good actress and does her best), one of her daughters and Mrs Butler have disappeared, Lin Chung appears in one episode (and looks young enough to be Phryne’s son), they’re trying to work up a love interest with Jack Robinson (who is divorced from the daughter of a police bigwig) and Phryne’s lesbian socialist sister has been replaced with Miriam Margolyes as an uptight class conscious aunt. On the plus side, the costumes and locations are gorgeous, although there have been some really shonky wigs. I appreciate that for a family audience you can’t get away with what you can in a book, but the two are so different that it sometimes seems that the only thing they have in common is the names of some of the characters! One of the reasons for my recent Phryne re-read was to banish the memory of the second series of the TV series – which I mostly watched whilst yelling at the TV over the character changes and the narrative alterations, much to the amusement of The Boy. Still, so far, I’ve managed to keep my own mental image of Phryne going without it being overwritten with the TV version – I credit my rage for this! So, there you have it. Three good, and two not so good. A couple of other snapshots for you: I found the TV version of The Handmaid’s Tale deeply disappointing when we watched it during A-Levels, but I like the first Bridget Jones film (the second was a bit of a let down, but then the book isn’t as good either). The Boy is a big fan of HBO’s True Blood and I’ve almost finished reading the books. We have fun comparing the plots of the two – which seem to differ wildly (Typical conversation: Him “Has the governor appeared yet?” Me: “What governor?” Him “He does experiments on Vampires and starts poisoning True Blood” Me: “That’s not in the book!”). I’m also working my way through the Inspector Alleyn series – both the books and the TV adaptations (the latter being classic ironing fodder) and the jury is still out on those. I’ve got the TV version of Tales of the City waiting to be watched next time I do some ironing so that I can see how it compares to the books and I’m currently debating whether to go to see The Fault in our Stars at the cinema – but that’s not so much because I’m worried it’ll upset my mental image of the characters, but because I’m not sure I can handle all that crying again so soon after the book – and this time in public! If you’ve got any literary adaptations that you love or loathe – or think I ought to watch, leave your comments below!